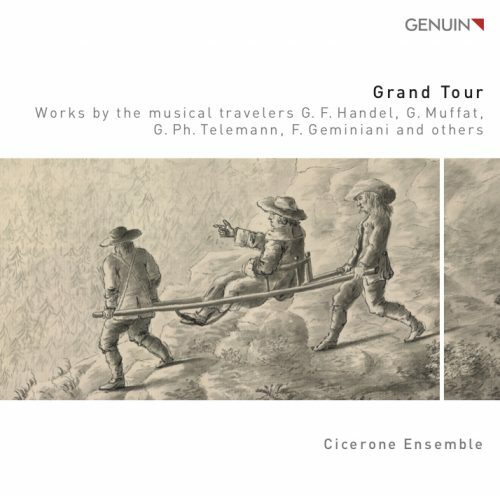 Today the Cicerone Ensemble’s first CD was released, featuring music by travelling musicians of the 17th and 18th centuries. Needless to say, we are insanely excited about this release, as it does not just represent the cumulation of our artistic development both as an ensemble and individual musicians, but it also marks a new period for us – one where we are comfortable with the style we have adopted and the attitude towards our work we have assumed. Subsequently, we intend for this CD to serve as a tool to reach out to a wider audience than we felt confident approaching only some years ago. Last but not least, this recording is a manifestation of the friendship and camaraderie that binds our ensemble together, and which will hopefully continue to be a driving factor in our lives for many years to come! The CD can be ordered on the official GENUIN Classics Homepage. Copyright © 2019 Andreas Gilger. All rights reserved.